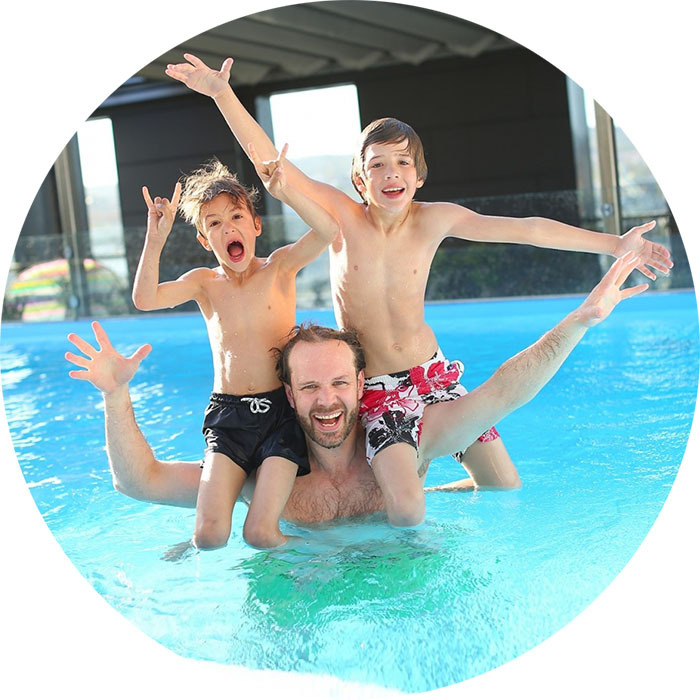 Thanks to many years of experience, Europool has achieved the highest quality of its swimming pools. 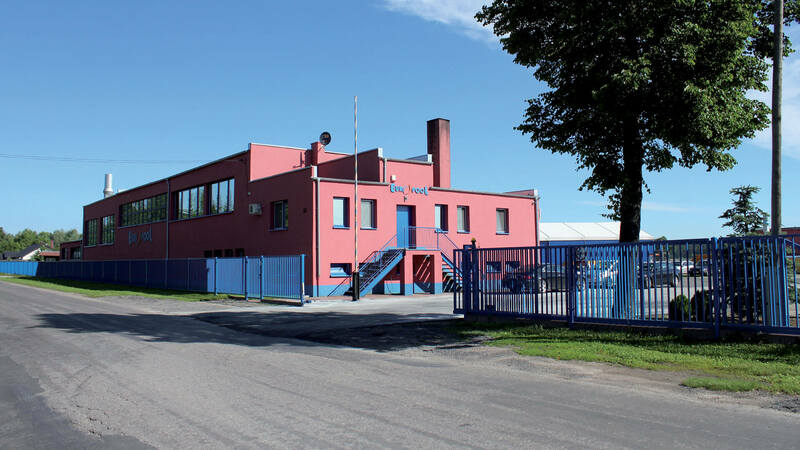 The scope of our work, however, is not only restricted to the production. 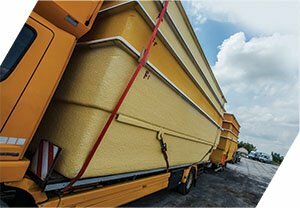 Europool like no other company on the market offers a comprehensive range of services from the design of the pool to transport to the place of residence, assembly, year-round service and seasonal opening or closing the pool. The wide range of pool products offered by us, spa bathtubs, roofings and covers will satisfy each client. The construction of pools at Europool means a wide range of options and variants of construction. If the customer does not find a suitable shape of the basin among offered ready-made polyester pools, our company offers a comprehensive construction of a reinforced concrete pool, which can have any shape. 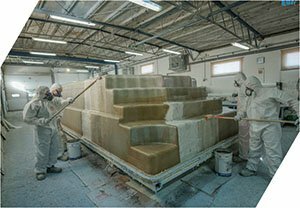 Many years of our experience in the production of fiberglass pools allows us to create basins with the highest quality standards and our specialists will ensure the proper operation of your pool for many years. Moreover, do not forget about our roofing that can protect and maintain heat in outdoor pool, which is our offer for people who particularly value their privacy. In order to provide professional customer service, we take care of every stage of the investment, starting from the presentation of the initial offer ending with the pool ready to use. As a swimming pool company, we also offer various accessories and equipment that will make the use of the basin easier and even more enjoyable. 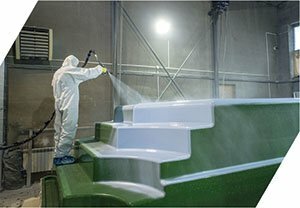 Europool- a well-known and recommended, for many years, company producing the highest quality fiberglass pools, offers a unique, comprehensive range of services, starting from the design of the pool, through design, transport, installation of swimming pools and roofing at the Customer’s home or garden. 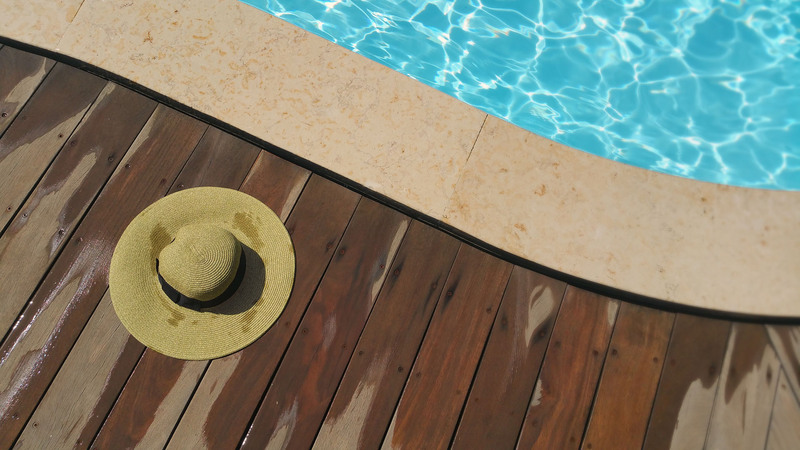 It is our advantage that we provide a wide range of assistance, such as: running a professional pool service, preparing garden pools for the wintering as well as the pool season. Each contractor is treated individually, but still a full and fast customer service is always the most important for us. 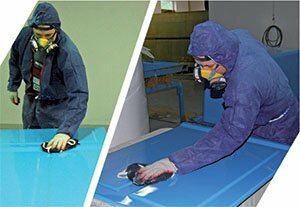 We can apply a double layer of gelcoat on properly prepared forms. 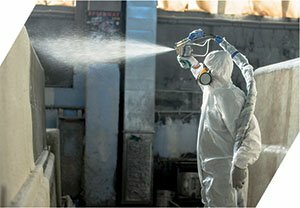 The next step is the application of vinyl-ester resin as well as strand mat and roving fabric. 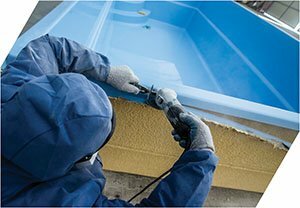 The next step in the creation of the pool basin is to insulate it with polyurethane foam in order to minimize water temperature losses. The final step of production is the processing of our pool and the installation of the necessary pool devices chosen earlier by the client.